The all in one golf tool.contains: Ball marker, Brush, . 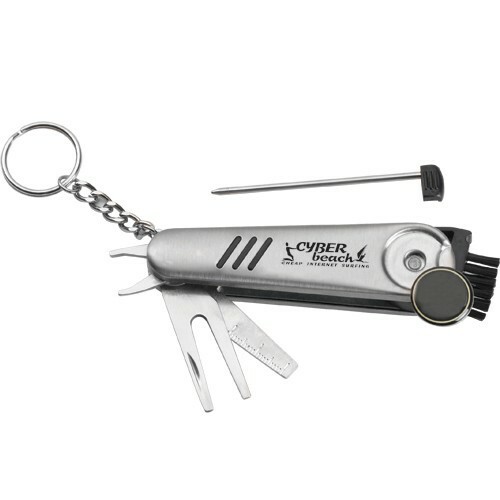 Divot Tool, Knife, Spike Wrench, & Golf Club Shaped Pen. Individually poly bagged. Pad Print (One color imprint only) Set-up charge $50(V). Re-order set-up charge $30(V).